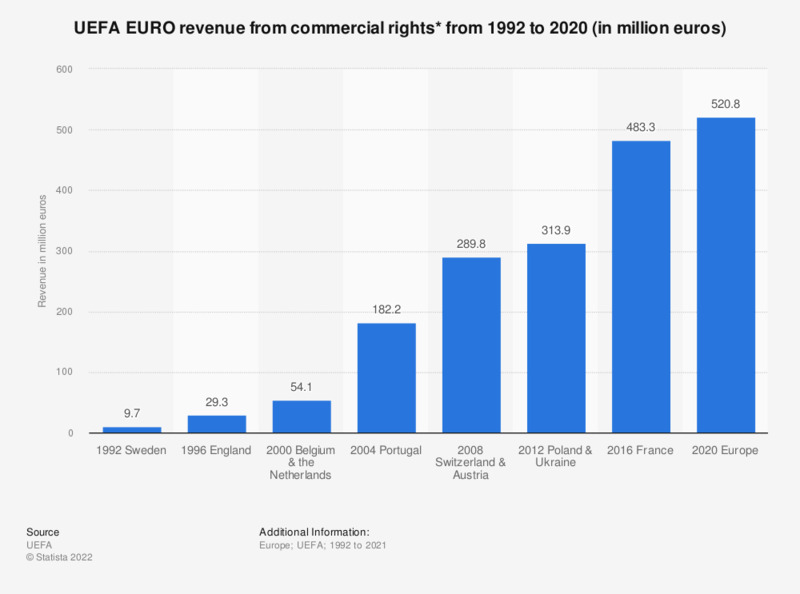 The statistic shows the revenue of UEFA from commercial rights (sponsorships, licensing and merchandising) at the EURO championship from 1992 to 2016. At the 2008 EURO in Switzerland and Austria, UEFA's revenue from sponsorship, licensing and merchandising was at 289.8 million euros. * Sponsorships, licensing and merchandise.